There’s a line on 'Indigo', Wild Nothing’s fourth studio album, where Jack Tatum sings “breathe indigo, it’s the closest thing to living”. Referring to the perpetual “blue iPhone glow on everyone’s faces” that is such an engrained part of our quotidian lives, there’s a kind of wistful, prosaic poeticism to this image that Tatum alights and reflects on. “I think there’s these kind of references in the song to things that are very true in my life,” he continues, “like sitting in bed with my wife and us both being on our phones and just kind of being in a dark room with screens up on our faces but it’s just kind of a reality of life right now, I think it’s hard to know how to truly feel about it all”. Almost a decade into crafting the infinitely textured and detailed sonic dreamscapes that encompass Wild Nothing’s distinctive repertoire, Tatum’s offering on 'Indigo' embodies his signature retro-tinged melodic bliss whilst presenting a palpable, glistening evolution in both sound and production, comprising the most poised and confident Wild Nothing record to date. Listening to the different Wild Nothing records, they each bear their own distinctive sound and impression whilst very much channelling and evoking the characteristic nostalgic atmospheres of Tatum’s creation. “I mean it’s conscious on one level just because I think if you’re someone who’s creating things then you’re always trying to do things slightly different than how you’ve done it before. But you know it’s always been trying to do that in a way that is gradual, that feels not overly forced”, he emphasises, considering this balance between pushing yourself creatively whilst staying true to your artistic intent. On the topic of channelling creativity and that all too familiar struggle of establishing and adhering to routine within creative practices, Tatum details “I was living in Los Angeles for a number of years while I was working on this record and while the last record was out and I was touring on that. But it was the first time that I’d found myself falling into some sort of routine when it comes to making music. In the past I never tried to schedule my creativity. It was always just if I have an idea then that’s great otherwise I’m not going to worry about it and so I got into habits of working on stuff really late at night, whenever it would strike me. But in Los Angeles I set up a studio space where I was really trying to find a way to say like okay I’m going to work on things everyday and it’s okay if it doesn’t happen. I guess just a more sort of steady, adult approach to my own creativity which is sort of weird to do but it was just the nature of it I guess for me working on this record”. Setting out to create “a classic studio album” with 'Indigo', Tatum astutely conveys how the notion of something being timeless is not only incredibly subjective but also perpetually in flux. “It’s hard to say right, ‘cause something that feels timeless to me wouldn’t necessarily feel timeless to you”, he says. “I think at least for me, because I obviously have so many connections to the past with my music and my music references a lot of stuff from the 80s very heavily and very intentionally too because that’s just my favourite era of music. And given that 'Indigo' is a work of remarkable creative maturity and transcendental sonic elegance that feels at once nostalgic and current, it’s fair to say he’s got this balance just right. 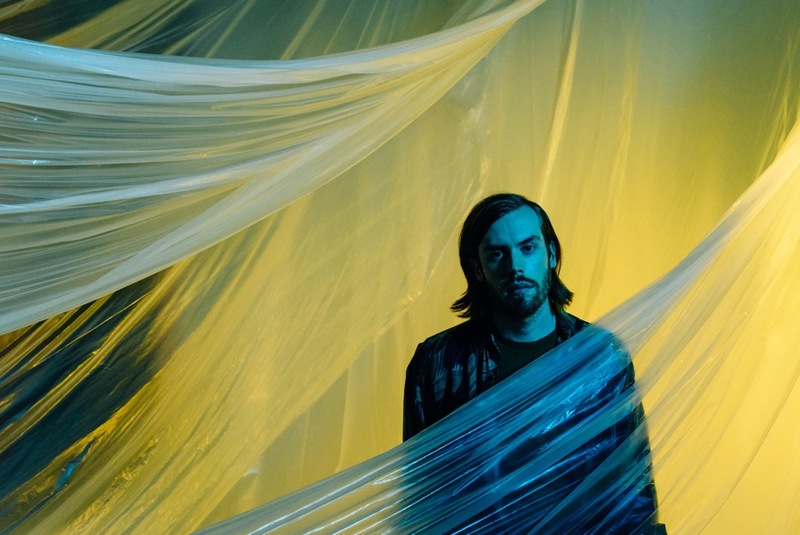 For tickets to the latest Wild Nothing shows click HERE.